I’ve had One Hundred & Thirty-Six Scars and Hellraiser on my Kindle since I read Razing Grace. Just there waiting to be read and now, finally, I’ve done it. With pleasure. I know that Amo is writing the fifth installation to the Devil’s Own -series and it’s going to be Frost’s book so I’m preparing myself. Because Amo Jones. The kiwi lady has some serious talent and I love these series; the dark and twisted world built around The Army and Devil’s Own MC. The inspiration for this blogpost came from the Hellraiser. There is talk about the Australian cookies called TimTam’s and six-year old Garret asks Melissa if they can bake a TimTam cake sometime. 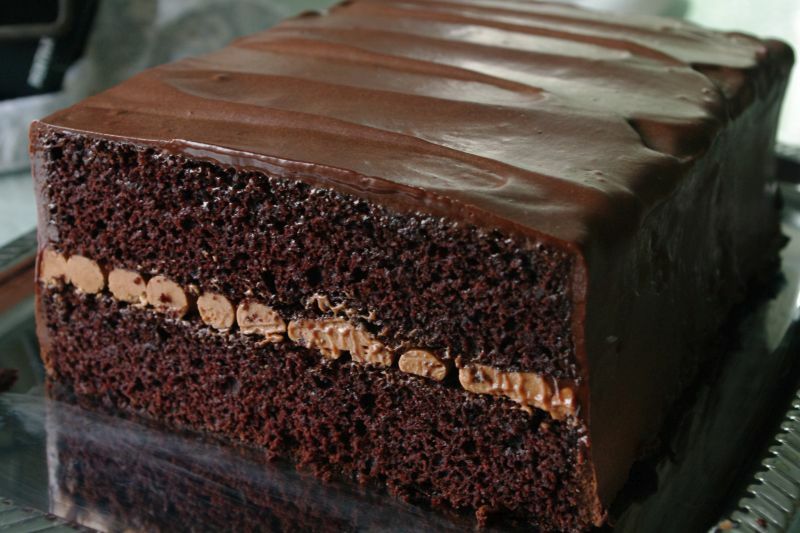 There are no TimTam’s here where I live but the search came up with some pretty delicious chocolate cakes. 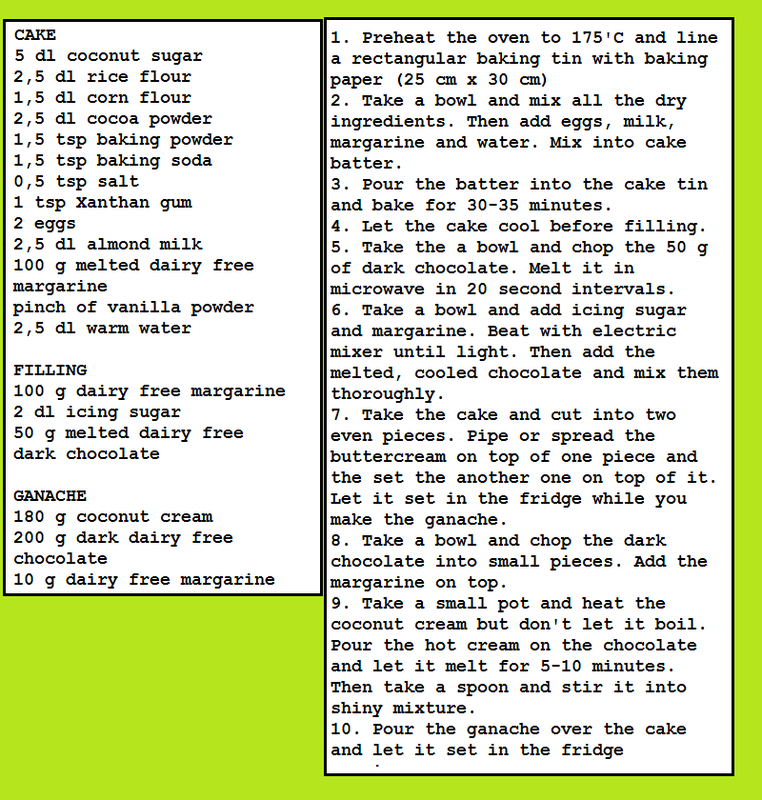 Due to my daughter’s new diet, this chocolate cake is free of glutein and dairy products. So here’s my chocolate extravaganza! Oh, I loved One Hundred & Thirty-Six Scars. There was something in Beast’s and Meadow’s story that called to me. Amo Jones is one helluva storyteller. Meadow and Beast are both robbed of their childhood. Meadow’s innocent was stolen by someone who should have treasured and protected her. Beast knows no life outside The Army but still his only goal is to escape. The Army is no family, Beast is nothing but a number, trained to be a emotionless killing machine. Eventually Beast manages to escape with his best friend and his path crosses with Meadow’s. He saves her and the he disappears. Years go by but she never stops thinking about him. There simply is no other man for her. Seven years later Beast and Meadow meet again and there’s no denying the attraction. I loved the dynamics between them. They struggle together, fighting against the inevitable. Their relationship is a mixture of dysfunction, passion and salvation. Beast helps Meadow to become whole again, to become strong on her own. And while doing that, Meadow succees in breaking his tough exterior, to make him feel. That’s something he thought he was incabaple of doing. One Hundred & Thirty-Six Scars is a rough, somewhat twisted and violent book. It’s also unconvetional love story of two people who have ghosts of their past breathing down on their necks. There are motorcycles, tattooed men, blazing guns and brotherhood. This is about awakening into realisation that your past doesn’t define your future. I loved Amo’s world building, it is definitely intriguing. The story is packed with interesting characters and thrilling events. There is darkness to it but it’s not what defines this book. I loved this fast-paced story, guaranteed Amo quality. This is the story of Hella and Melissa. They have both lived through some brutal events in their lives. They have survived but it has not been without a cost. So much has been lost. Hellraisers shows us how Hella and Melissa start from growling hatred that turns into lust and finally there’s love. Hellraiser takes the story of The Army and Devil’s Own MC a step further. There is a retaliation, countermeasures and thrilling moments. I like how Amo has build her characters around The Army, the source of all evil and death. Amazing book! It is reckless, twisted, hot and above all, it is addictive! Previous PostBlood Stained Tranquility by N. Isabelle Blanco is out! Next PostCover Reveal for Crave pt.2 by E.K. Blair!